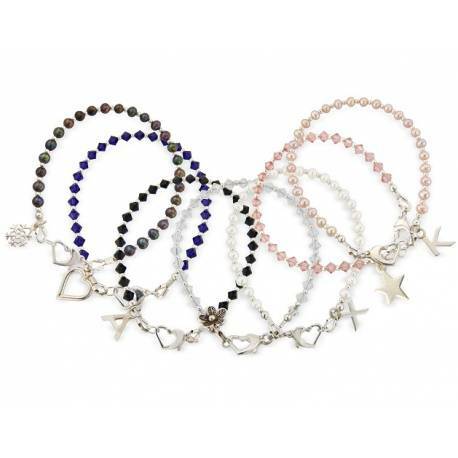 Mix and match these exquisite Sterling silver and crystal friendship stacking bracelets. This friendship bracelet is made with 4mm Swarovski crystals and 2mm Sterling silver beads. It is finished with a Sterling silver heart-shaped trigger clasp. If you can't see the swarovski shade chart properly and would like a higer res image please do email us. To make this bracelet extra special we can add a Sterling silver letter charm or variety of other different silver charms. 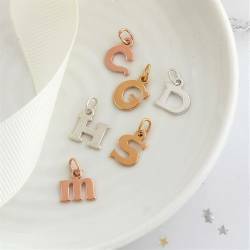 If you would like to include a letter charm or other sterling silver charms these can be found under charm section, just order them at the same time as you order your bracelet. The charm or charms will be included near the clasp. 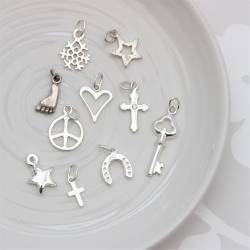 If you order more than one charm they will be put on the same side of the clasp but with a sterling silver bead separating them. You can also add a sterling silver extension chain if you are not sure of the exact length you needs. There are childrens sizes available in the childrens bracelet section. Sterling silver with Swarovski crystal.